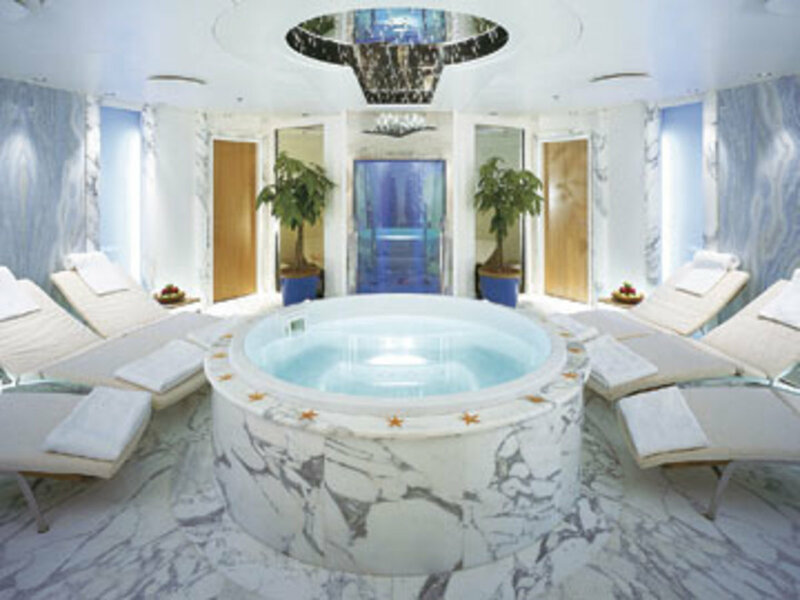 A Jacuzzi room on the Annaliesse is decorated with frescoes and lined with abundant exotic Egyptian marble. Although she’s the older sibling of Alysia, Annaliesse was completed just two years ago at Greece’s Neorion Syros Shipyard. She’s just as well equipped as her sistership, having a similar spa with first-rate amenities, including a Jacuzzi room that’s decorated with frescoes and lined with abundant exotic Egyptian marble. For those who must attend to business while cruising, an onboard business center is equipped with wireless Internet and five satellite connections. But guests might find it hard to pry themselves from the aforementioned spa or swimming in the pool on her expansive, teak sundeck. Those who are more adventurous might find themselves spending their time on one of six PWCs, water-skiing off her two tenders, or lining up at the helipad for onshore excursions. Annaliesse is available for charter in the Mediterranean during the summer and the Caribbean in the winter. 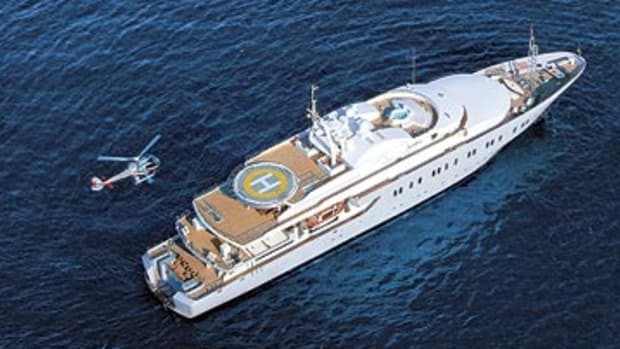 Her weekly rate is exclusive of expenses, which usually amount to about 25 to 30 percent of the cost of the charter.